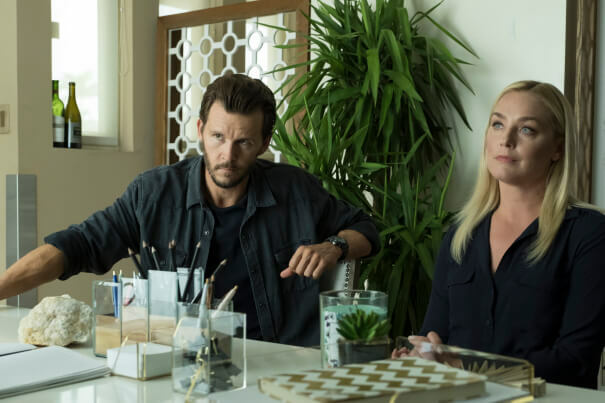 Sony Crackle’s set a February 21, 2019 premiere date for the second season of the dramatic series, The Oath. According to Crackle, season two will consist of eight new episodes, down two episodes from the show’s first season. Ryan Kwanten (True Blood), Cory Hardrict (American Sniper), Katrina Law (Sacred Lies), and J.J. Soria (Animal Kingdom) return to lead the cast of the new season. Elisabeth Rohm (The Last Ship) also returns along with Michael Malarkey (The Vampire Diaries), Isaac Keys (Get Shorty), Andrew Howard (Hatfields and McCoys), J. Anthony Pena (Unsolved: The Murders of Tupac and the Notorious B.I.G. ), Kim Delaney (NYPD Blue), Isabella Rivera-Gandulla (Speed Kills), and Braulio Castillo. New to the cast for the drama’s second season are Christina Milian, Leona Lewis, Zulay Henao, Kevin Connolly, Erik King, Richard Burgi, Sebastian Zurita, Russell Wong, and Carlos Sanz. Joe Halpin (Hawaii Five-O, Secrets and Lies) created the series, calling upon his experience as a former Los Angeles County Sheriff’s Department deputy in South Central to provide a gritty inside look at law enforcement. Halpin writes and serves as showrunner. He also executive produces along with Curtis “50 Cent” Jackson, Dennis Kim, Todd Hoffman, and Anne Clements. Kevin Connolly, Jeff T. Thomas (Blindspot, Wayward Pines), and Scott Mann (Heist) directed season two episodes. The Oath explores a world of gangs made up of those sworn to protect and defend. Shedding light on corrupt and secret societies nearly impossible to join, only the chosen few make the cut – and once inside, members do what they must to shield each other from enemies who attack from both outside and within their own ranks. The sophomore season of the action-packed drama finds the Ravens attempting to free themselves from their debt to the cartel. Themes including redemption and the meaning of family are examined in season two pushing the characters to find a new path, conquer their inner demons and giving them one last chance to reclaim their lives as their own – all while trying to protect the ones they love in the process.